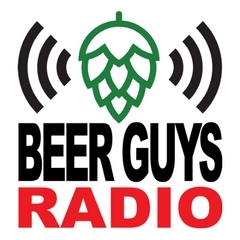 Broadcasting from Atlanta, Georgia, the BEER GUYS RADIO SHOW talks about the best brewers, beer bars, festivals from across the Southeast! Craft beer is one of the fastest growing markets, and is incredibly popular with Millennials, Gen-X'ers, Baby Boomers...almost every generation! Each week, Tim Dennis and Aaron Williams interview brewers and talk about what's happening in the craft beer world. Subscribe today! Content is also available via FTP or email. contact aaron@beerguysradio.com for more details. We would be happy to produce promos for your station as well. Just contact aaron@beerguysradio.com for more. Nate Darnell, head brewer of Birmingham's Avondale Brewing, joins us this week. We pair food and craft beer with Tom Moran of Peach and the Porkchop. We celebrate the 20th anniversary of Decatur's iconic beer bar, the Brick Store Pub.